The executor of your estate needs to be someone you trust. You can’t take it with you, so you’re going to have to find someone to manage your affairs after you’re gone. Whether you’ve amassed a sizable estate or it’s more modest, you will still likely have some assets and other details that need organizing and distributing to handle your estate. Do some careful thinking before you make someone executor of your estate. It’s an important job and you want to make sure the person you choose is up to the task. Write down the names of your closest and most trusted family members and friends. Take enough time as you compile this list to make sure that you include every person with whom you have a solid, trusted relationship. Analyze each name you placed on your list to assess the competence and merits of each person. Remove names from the list to cut the selection. The first people you should ditch include anyone who is older than you are — while it’s not a guarantee, these people are not likely to outlive you. Also remove people who may not have time to perform the duties of estate executor and people who don’t live near you — it will be necessary for your executor to manage your local affairs, and this can be time consuming. Narrow the field to your top two or three choices. Your best bet for a top-notch executor will be someone with financial strengths, with an analytic mind, with the ability to work effectively under stress and with a desire to serve your interests and your heirs’ interests ethically after you’re gone. Contact your first choice for executor and ask her if she would consider being the executor of your estate. Explain the duties, if necessary, to ensure that your choice understands the responsibilities involved. Mention duties such as inventorying assets, maintaining property during probate, paying taxes and bills for the estate, appearing before the probate court to represent the estate and distributing assets according to your will. Move to your second and third choices, if necessary, to find a trusted executor. Consider lining up your second and third choices as alternative executors if your first choice accepts the job. Alternative executors will be available to step forward if the primary executor can’t or won’t perform the duties when the time comes. Hire an attorney to help you create your will. 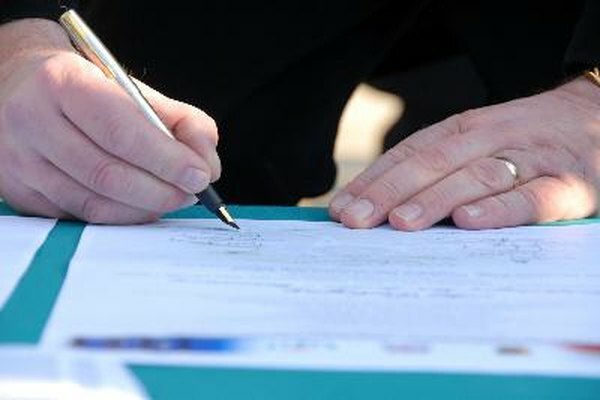 List your executor’s full name in the will. Execute the will according to your state laws. If you can’t find a suitable executor among your family and friends, you can also hire an executor to serve your estate. A paid executor may be an attorney or another financial professional whom you can contract with prior to your death to manage your estate. Your estate would pay the executor. If you can’t choose one executor, you could also name co-executors who would manage your estate together. Co-executors enable one to live locally near your estate and the other possibly farther away. Executors are free to hire professionals to perform some of the duties of managing an estate. For example, a CPA could manage the estate’s income tax matters. Does Money From an IRA Pass Through an Estate?